Our friend Adam is bringing exciting news of Samantha Fox performing live in Olsztyn (Poland) on 27th July as part of the Ogolnopolski Festival. Get ready for the event and buy now your ticket on the official site of the festival. Yet another date to add to your agenda. 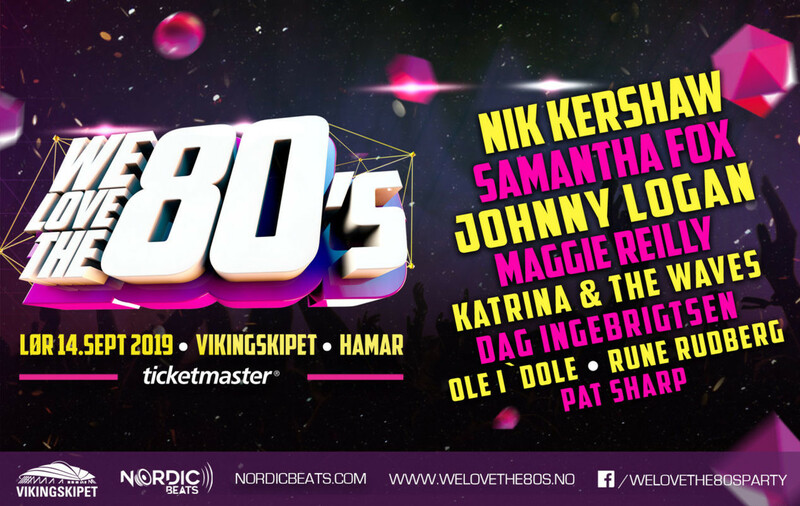 This time it's the big festival We Love The 80's that will take place in Hamar (Norway) on 14th September. Many artists will perform their biggest hits during the event, including Nik Kershaw, Katrina & The Waves and of course the one and only Samantha Fox. Tickets are already available through Ticketmaster and visit the official page of We Love The 80's for all the details. A full video of Samantha Fox performing live last week in Moscow has surfaced on YouTube. Here it is for all the ones that could not be there for this incredible concert of the star with her new live band. 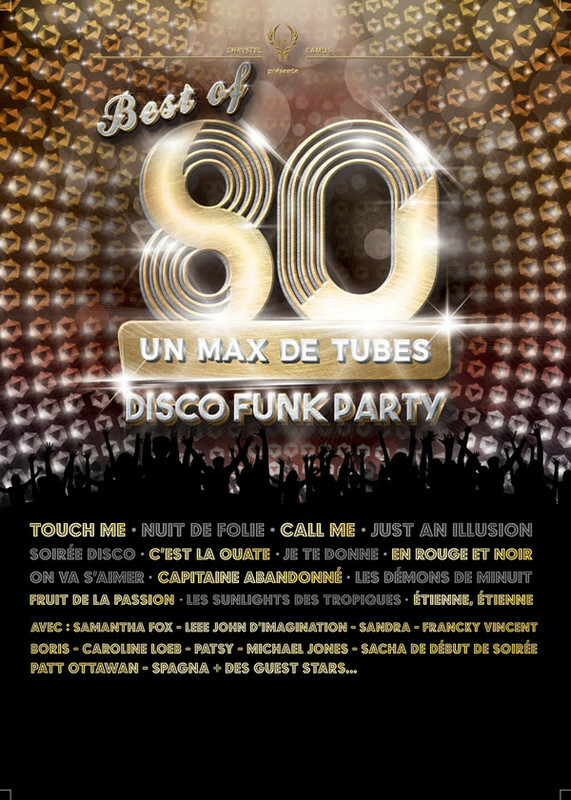 On tour in France with Best Of 80! Fresh news is that Samantha Fox will tour France as she will take part to the Best Of 80 event that will bring the superstar all over the country. This spectacular tour will begin in Frejus on 11th August and dates have been announced until 2020. See the complete list of the cities that will host the event and buy your tickets now on Ticketmaster France. 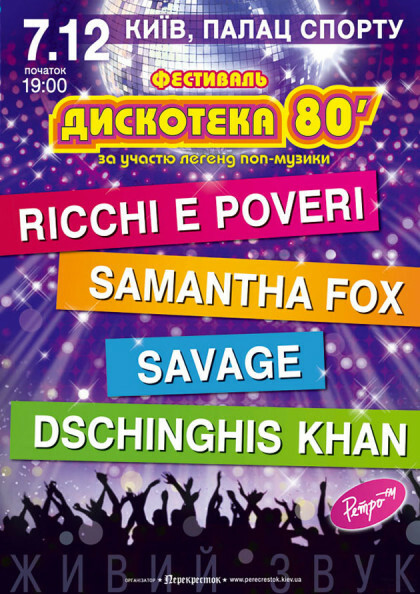 Ucrainian fans can now mark this date on their agenda as Samantha Fox will be part of the Diskoteka 80 festival on 7th December in Kiev. Tickets are on sale on this site. Samantha Fox will take part at this year's Chiller Theatre in Parsippany (New Jersey, USA) on 26th April to meet all her American fans! Go to the official page of the event and buy your tickets for exclusive meeting with Sam. Another great show is taking place in Slovakia this Summer and it will feature our one and only Sam. This time is in Uhrovec on 10th August and other performers include Modern Talking, Londonbeat, Dara Rolinc. Tickets are already available here. The Nestville Open Air festival will take place in Slovakia in June and Samantha Fox is among the artists to perform. She will be live on 28th and 29th June, so don't miss this chance! Get all the details and ticket info on the official site of the event.